Dolmadakia, a popular delicacy throughout Eastern Mediterranean countries, are ready-to-eat rolls made from tender vine leaves stuffed with rice, grilled onions and a variety of fresh herbs and spices. They make popular hors d’oeuvres, appetizers or entrées, that can be served warm or cold. 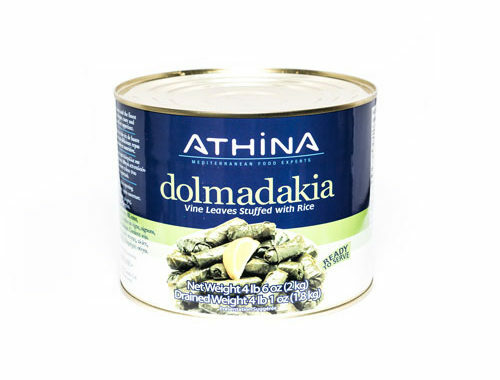 Find these Athina Dolmas: vine leaves stuffed with rice in our store and available through our warehouse.